Pale green freshwater “cornflake” pearls and pink coral “berries” lend a breath of fresh air to the midwinter mist! Necklace is 18″ long on 14K GF chain. 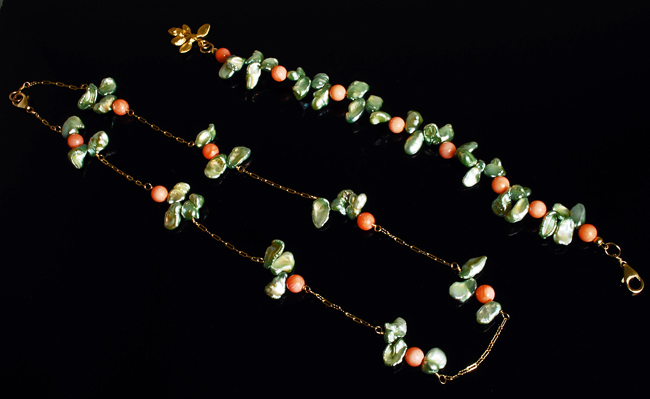 Matching bracelet is about 7.5″ long with vermeil leaf cluster dangle. Both will look great with your pink jacket or sweater!